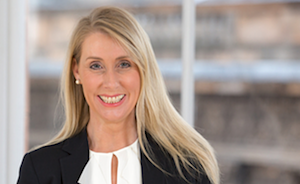 TSB Bank announced that Debbie Crosbie, chief operating officer (COO) at Clydesdale and Yorkshire Bank owner CYBG, will join TSB as CEO in 2019. TSB Bank is owned by Spain’s Banco Sabadell. Crosbie will join TSB as it tries to recover from an IT meltdown that could cost more than 320 million euros. Crosbie will be paid a higher basic salary than Pester – who was on £913,500, Reuters reported. CYBG CEO David Duffy said: “Debbie has made a significant contribution to CYBG over more than 20 years with the group, including as interim chief executive officer of Clydesdale Bank prior to our demerger, and as an executive director and COO of the newly independent group following our IPO. “In recent years Debbie’s leadership of our technology programme has created one of the UK’s leading banking platforms, enabling CYBG to transform the digital experience for our customers and put CYBG in prime position to succeed in the world of Open Banking – all of which has underpinned CYBG’s recent growth. “We are disappointed to lose someone of Debbie’s calibre, and while the team and I will miss her personally, her new role is a great opportunity and we wish Debbie all the very best for the future. Until Crosbie joins TSB, Richard Meddings will continue in his role as executive chairman, before returning to his previous position as non-executive chairman. Meddings said: “When we began the search for a new CEO, we were looking for someone who shared our vision for TSB, who had a strong track record in financial services, and who would inspire TSB Partners to fulfil TSB’s true potential. “In an impressive field of candidates, Debbie stood out. “With over two decades of experience, superb retail and SME banking expertise, and a genuinely open and engaging style of leadership, we have found an outstanding new CEO. “What’s more, Debbie brings a clear challenger mindset to TSB and she shares our vision for what a strong challenger bank can achieve for customers. CYBG said: “Debbie will step down as executive director with immediate effect but will remain in her role as COO for a period of time to facilitate an orderly handover with a leaving date to be agreed. “Debbie will also step down as an executive director of companies within the CYBG Group including Clydesdale Bank plc and Virgin Money plc with immediate effect. “Fraser Ingram, currently Innovation and Change Director, will be appointed to the role of COO in an interim capacity.